There are few things that aren’t improved immeasurably by a fried egg. 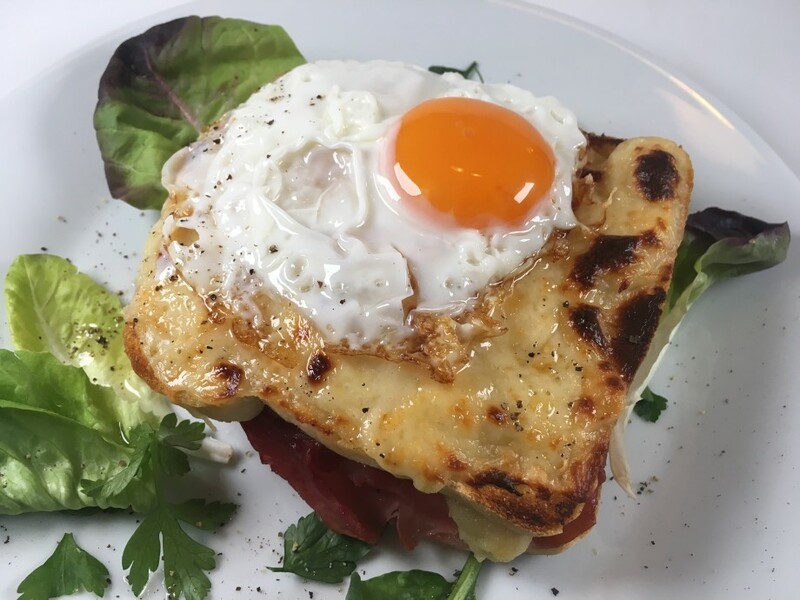 That is not to say that a plain croque monsieur isn’t good stuff-it is-but this is the icing on the gâteau. 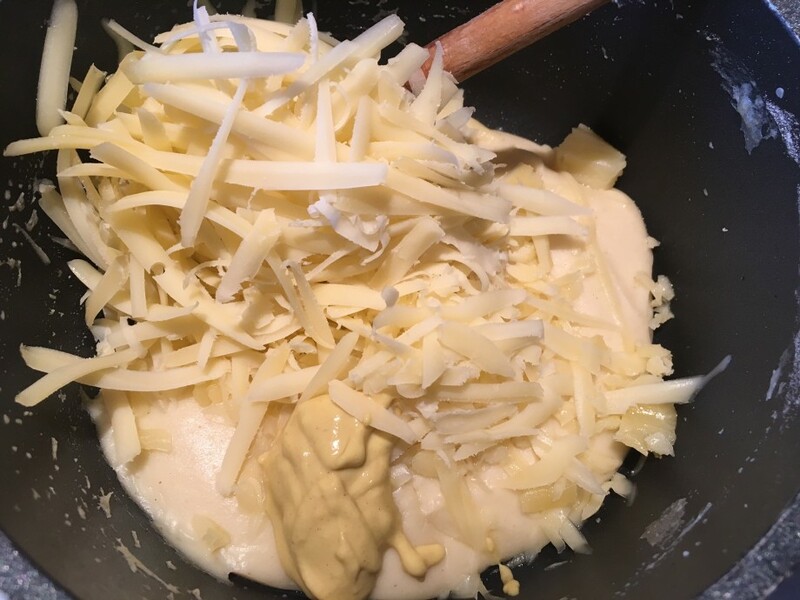 If you were trying to cut down on your dairy intake you could stretch the cheese spread to make four croques but I prefer to keep it to two…what can I say- cheese is everything to me. 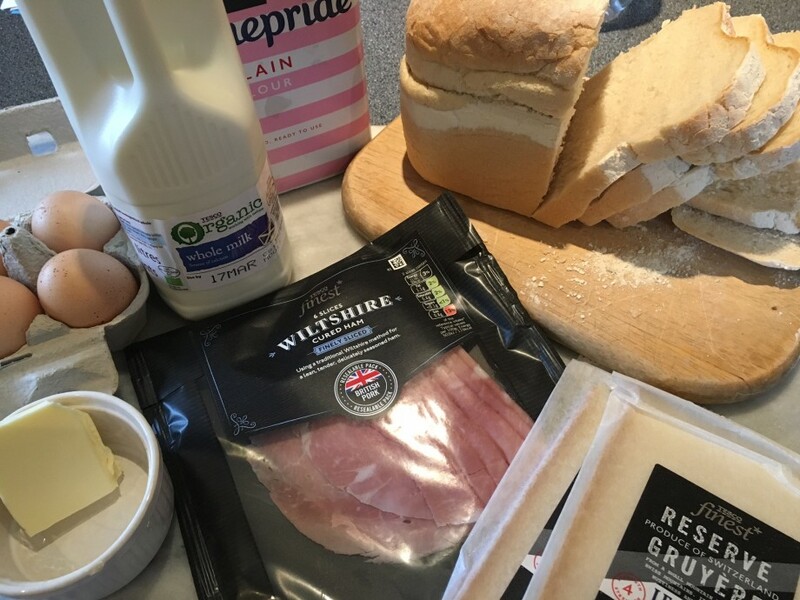 I like to cut thin slices from a good white farmhouse loaf as you get a bit of texture from the crust, but bog standard white sliced wouldn’t be a disaster. If you have made the cheese spread in advance you’ll need to bring it to room temperature-or warm it for 40-50 seconds in a microwave- to make it spreadable. Make a roux by melting the butter in a saucepan over a low heat. Stir in the flour and cook, stirring, for 1 minute. Gradually pour in the milk, beating well to make a smooth, thick sauce. Cook for 2-3 minutes, stirring continuously. Beat in 85g of the cheese and the mustard. When the cheese has melted take off the heat. Taste and season with salt and ground black pepper. You can make the cheese spread well in advance and chill it, covered in cling film, for up to a week (see intro). Heat the grill to high. Spread two slices of the bread with a little butter and grill until toasted and golden. Turn the slices over and place on a baking tray, so the untoasted sides are uppermost. Spread these with a little mustard and place the ham on top. 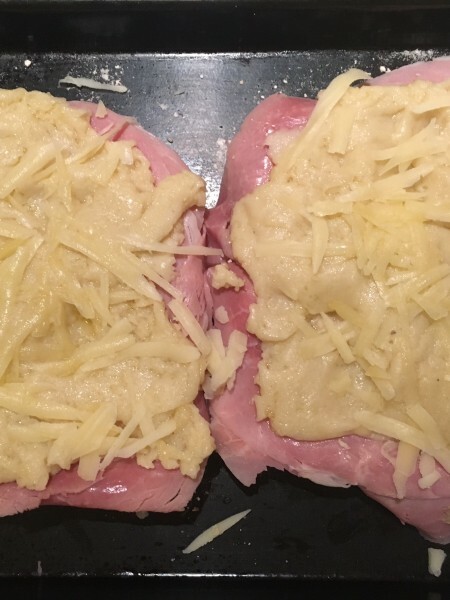 Spread half the paste over the ham and sprinkle over about half the rest of the grated cheese. Grill for 3-4 minutes until bubbling and golden. Remove from the grill and keep warm in a low oven. Put the remaining two slices of bread on a board and cover with the rest of the cheese spread. Sprinkle over the remaining cheese. Lay these two slices over the grilled ones. 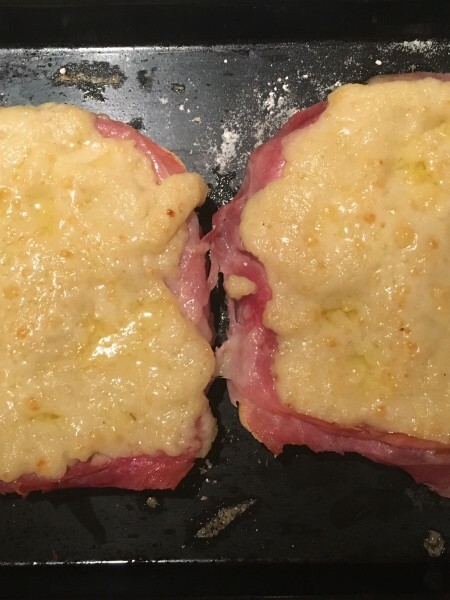 Place under the grill for 3-4 minutes until the cheese is golden and bubbling. Meanwhile fry the eggs in a little oil. To serve, top the sandwiches with the fried eggs and serve immediately.